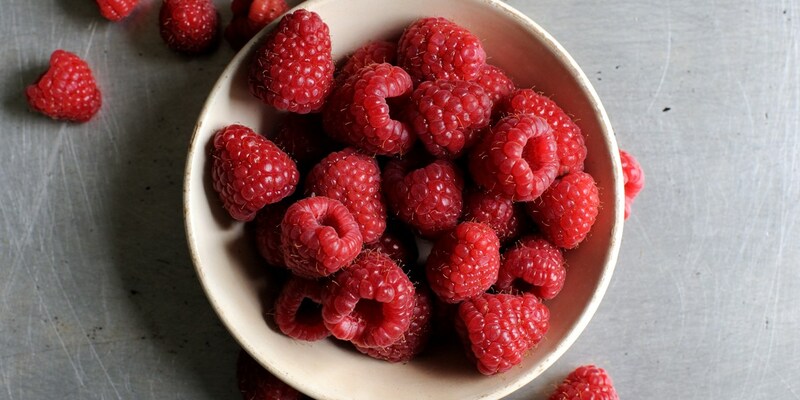 While, as with most fruits these days, raspberries are available all year round, British-grown raspberries generally come into season in May and last until late into the summer. Thanks to the longer, lighter days up north we have Scotland to thank for the vast majority of our homegrown raspberries, making it unsurprising that one of the country's most famous desserts, cranachan, heavily features the fruit. When buying your raspberries look for fruit that are a deep, vibrant pink in colour, juicy and plump with a slight sharpness. If you're looking for a traditional dessert try Shaun Rankin's Cranachan or Paul Heathcote's Raspberry trifle recipe. William Drabble uses the juicy tartness of raspberries to offset the richness of his Chocolate mousse cake recipe, while James Mackenzie makes the fruit centre stage in his innovative spin on a classic Bakewell tart, made with pistachio and raspberry.